The Barbour Isobath Quilted Jacket is beautifully versatile with a modern twist on the classic quilted Jacket. Injected with Barbour's signature style this jacket has been designed in a regular fit and slightly longer length finishing on the hip . 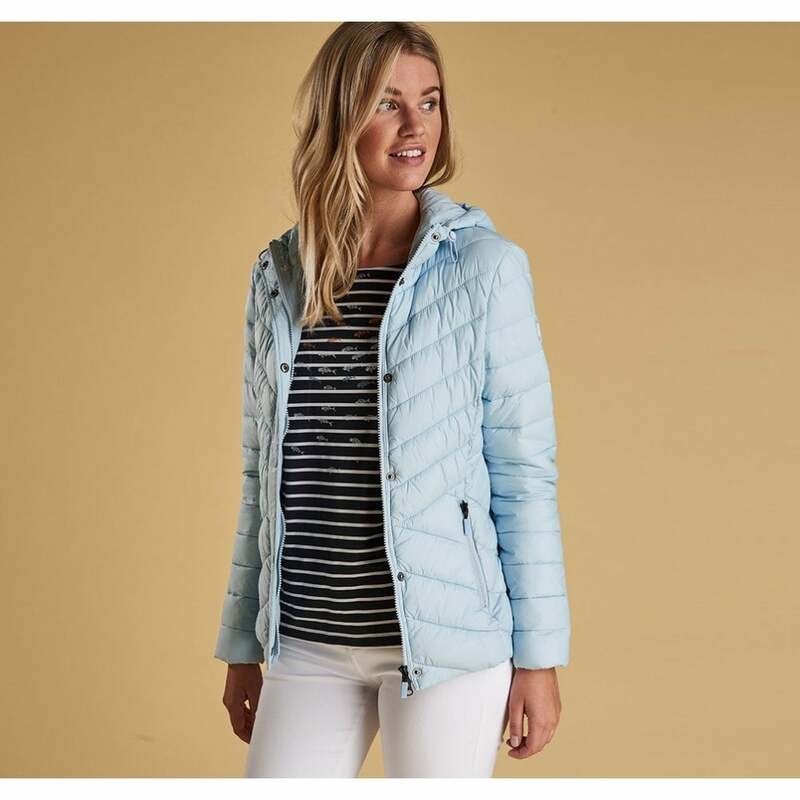 The simple yet eye catching jacket features a gorgeous mix of chevron and baffle quilting with detail to the waist. With stitch detail to the hood and zipped pockets this comes in two beautiful colours- perfect for Spring!